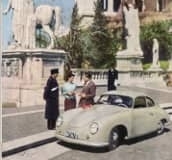 The first car which received the name PORSCHE was built in 1948 in Gmünd, Austria. 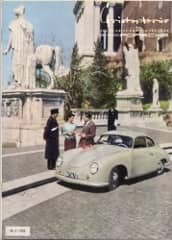 Just a few years later, despite the number of cars sold was not exactly phenomenal, the company did feel the need to build up a strong relationship with the customers. 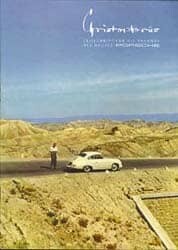 And that’s exactly where the history of the Porsche Christophorus Magazines starts. Richard von Frankenberg met ErichStrenger, the graphic artist in a movie theater in Stuttgart in 1950. Their meeting was really coincidental since they both visited a Miss Cover Girl selection. 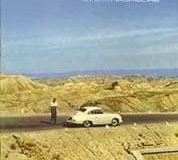 At that moment Richard von Frankenberg was writing the history of the Porsche house and building up a press and publicity department in Zuffenhausen. 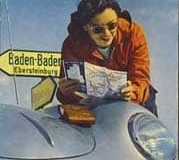 Soon after that first meeting, von Frankenberg visited Strenger in his studio and after a while, they produced the first Porsche brochure. 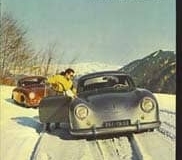 In 1951 they were both thinking about a customer magazine for all Porsche friends. 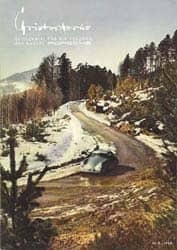 They were thinking about a name for days, and suddenly Richard von Frankenberg thought about the patron saint of drivers, Christophorus, and that’s how the magazine’s name was born. They produced a zero-issue, which was turned out at the Heidenheimer newspaper for cost reasons. 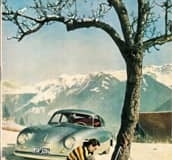 The Porsche management of those days must have been pleased with the zero-issue, as one year later, in July 1952 the first official Porsche Christophorus magazine was published. 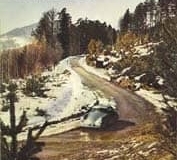 In the early years, the magazine was only published in German. The first English magazine was published in 1956. 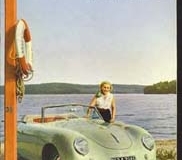 It was the same as the German number 18, which was published in winter 1955, only the English edition only appeared one month later. If you are interested in numbers about the real early magazines, just click to go to the statistics page. where the German magazine continued numbering and received number 18. That’s why you can find magazines with the same cover and content (except for the language of course) but a different number. Somewhere in the seventies, the numbering offset disappeared, and both German and English magazines continued their lives with the same numbers. As far as I know now, at this very moment, the magazine is published in German, English, French, Italian, and Spanish. 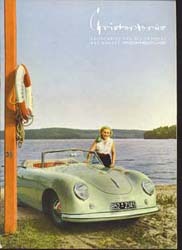 Usually, in the beginning, the cover pages were pictures sent to the factory by Porsche owners. 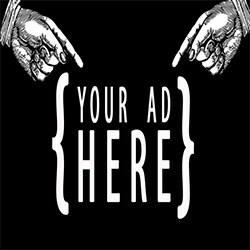 If you have any information regarding cars, persons, activities, … that are shown on a cover page I would like to hear from it, so I can mention it in my inventory. 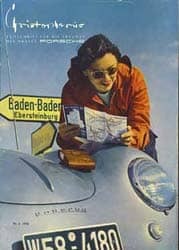 The subjects covered in Christophorus magazines vary from Porsche cars, races like Le Mans, Targa Floria, Carrera Panamericana, and Mille Miglia, touristic trips, letters from the readers, fashion, technique, and many many more. Of course, every magazine is filled with dozens of really beautiful pictures. 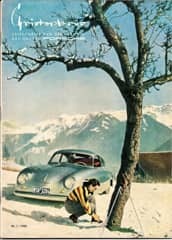 Purists consider the early magazine as a rich source to how an early Porsche should look like and how they can rebuild their own car exactly the same way as it left the factory in Zuffenhausen. 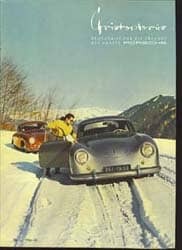 So far known Christophorus is the oldest existing customer magazine in the automotive industry.